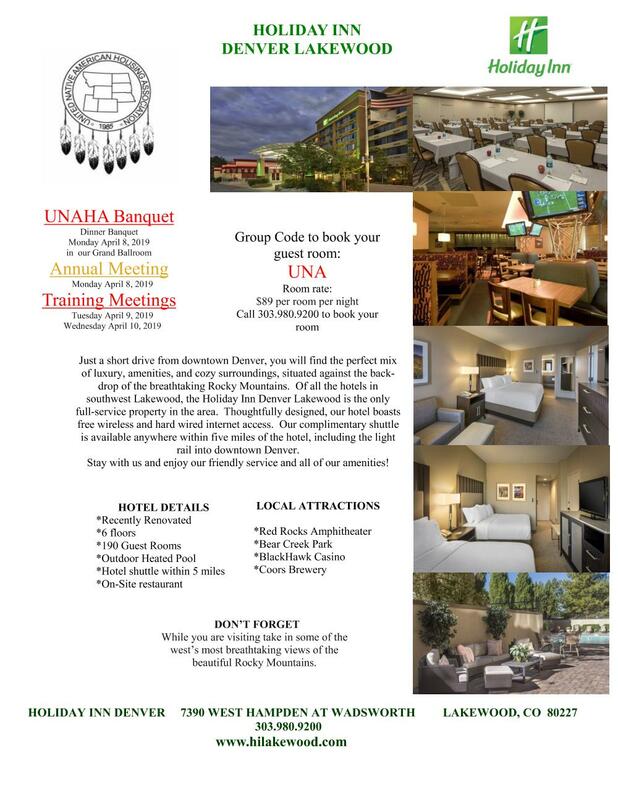 The UNITED NATIVE AMERICAN HOUSING ASSOCIATION (UNAHA) was formed in 1985 to give a collective voice regarding housing matters to over 30 Tribes located in HUD Region VIII which encompasses Montana, North Dakota, South Dakota, Wyoming, Colorado, Utah, Nebraska, and Kansas. UNAHA blends two National American Indian Housing Council and AMERIND Regions which prior to 1985 were represented by two separate advocacy organizations; the NORTHERN PLAINS INDIAN HOUSING ASSOCIATION and the DAKOTA TERRITORIES INDIAN HOUSING ASSOCIATION. Organizing as UNAHA provided two delegates to each of the respective National Organizations serving Indian Housing interest in those states. UNAHA provides information to member housing entities related to training, legislation, resources, and other issues effecting Indian housing. It is governed by a Board of Directors comprised of elected officers: Chair, Vice Chair, Secretary and Treasurer. The organization meets three times each year. The annual meeting is always held in Denver, Colorado in conjunction with the ALL WEST NATIVE AMERICAN BASKETBALL CLASSIC. A summer meeting is usually held in August and the location changes each year in an attempt to try to occasionally meet near each member. 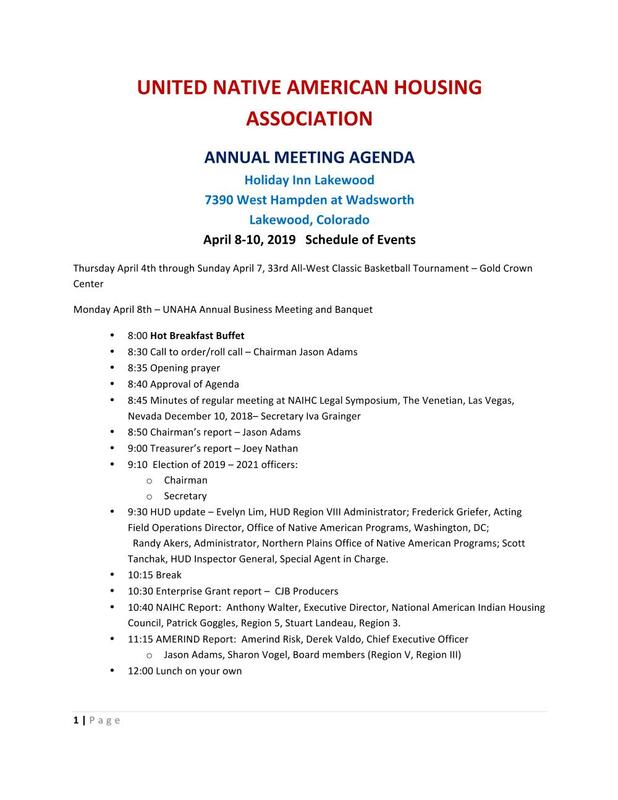 A third and final meeting is held each year in Las Vegas, Nevada in conjunction with the NAIHC Legal Symposium. 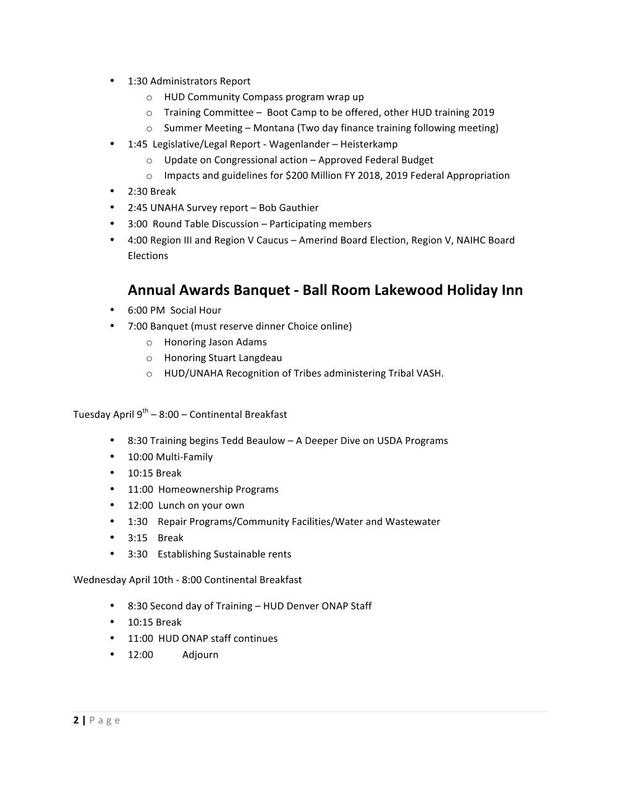 This meeting schedule is an attempt to provide members an opportunity to stretch their travel and training budgets.